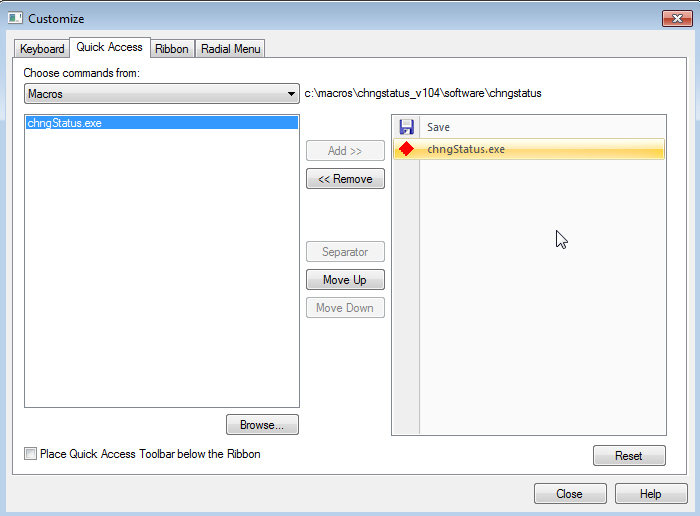 Keep in mind the Quick Access Toolbar is environment specific. 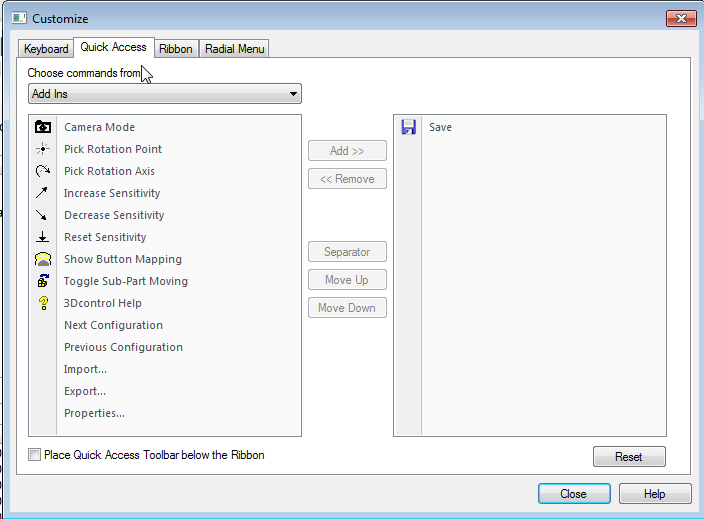 For example, if you would use this macro in the draft environment, you would want to follow these instructions in the Draft Environment. For this example I’m going to create the tool on my welcome screen. 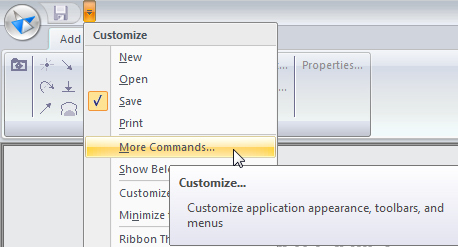 Step 3: Select Macros in the drop down for Choose commands from. Notice how I only have a few categories here because I am at the welcome screen. If I was in Draft, I would have more categories, Home, View, Sketching, etc. 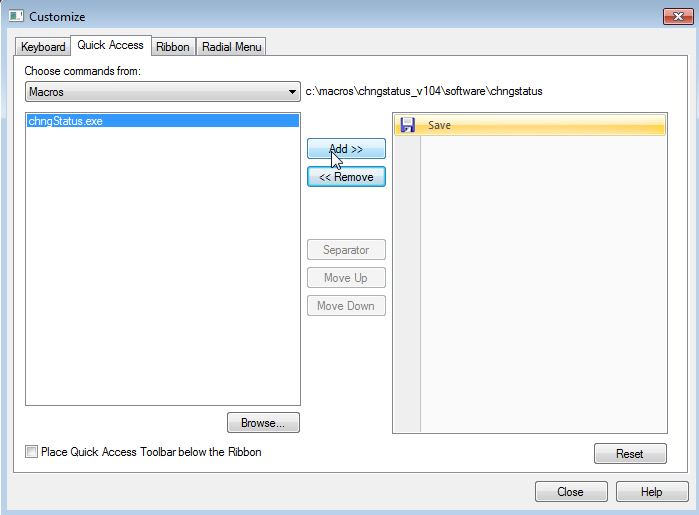 It seem that executable macro loaded this way do not show the icon, and just a generic icon appear. SHould be clarify how to associate a custom icon or how to properly embed the icon into macro to be picked as in your screenshot.